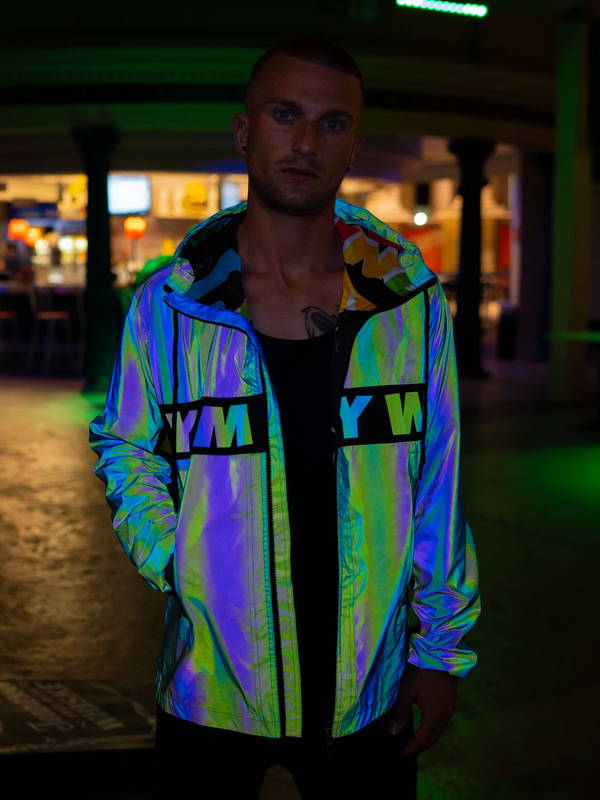 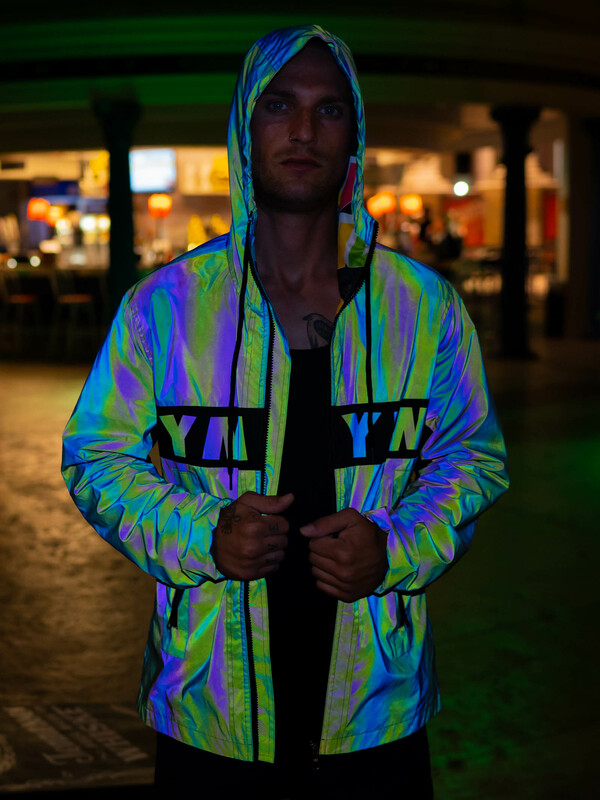 Reflective XENO Jacket for Men in all sizes 🙂 YOUR MIND YOUR WORLD revolutionary Xeno technology can be finally found on apparel too! 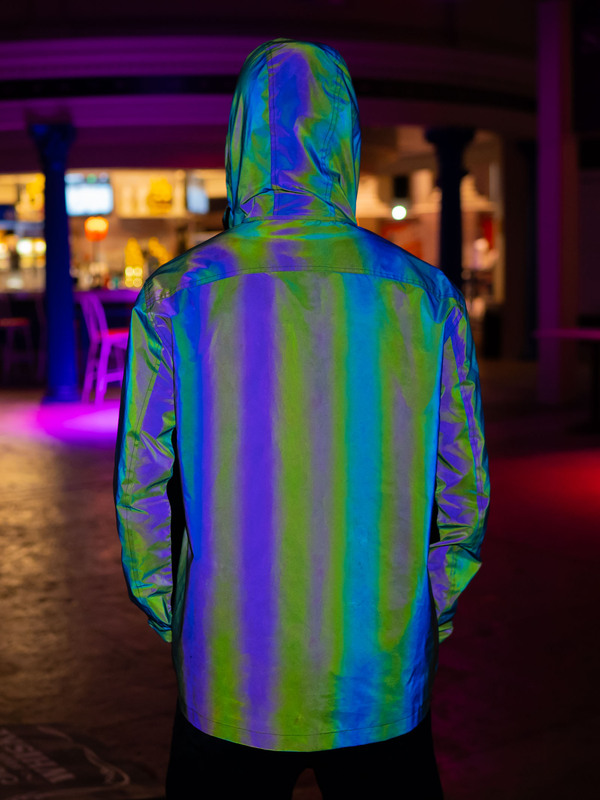 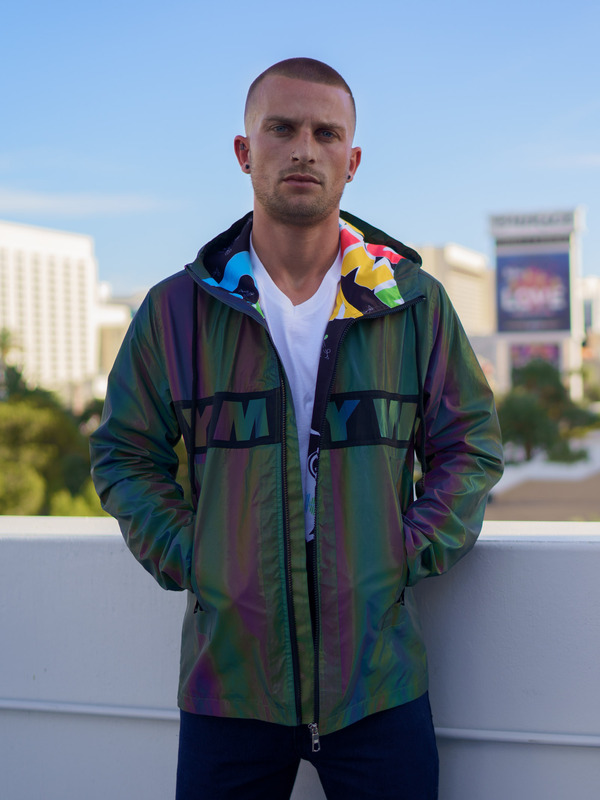 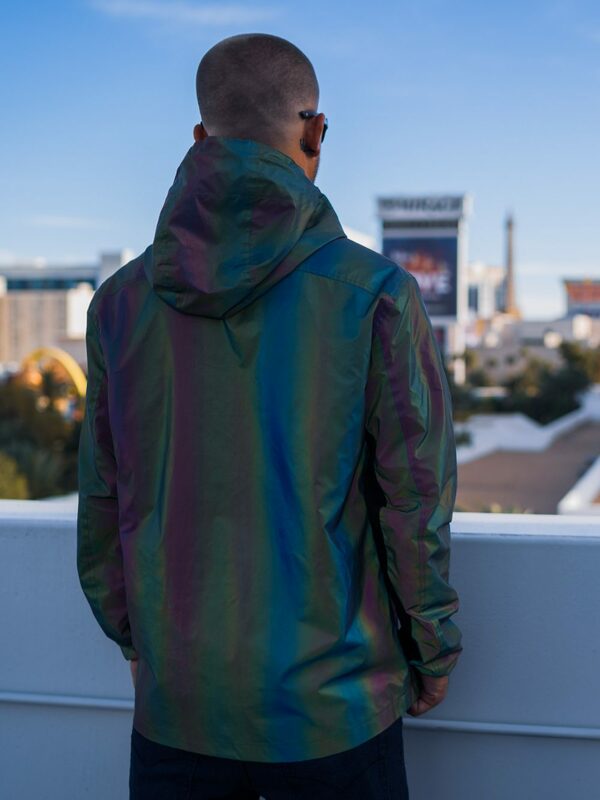 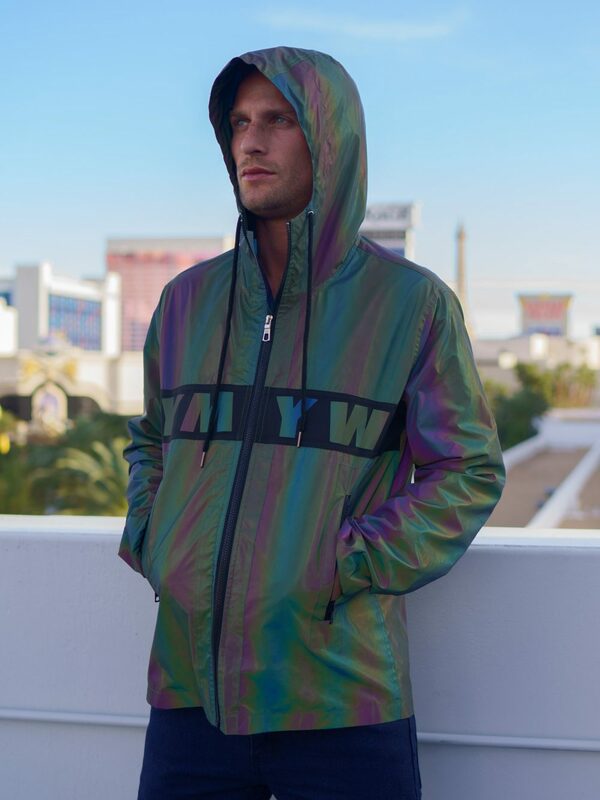 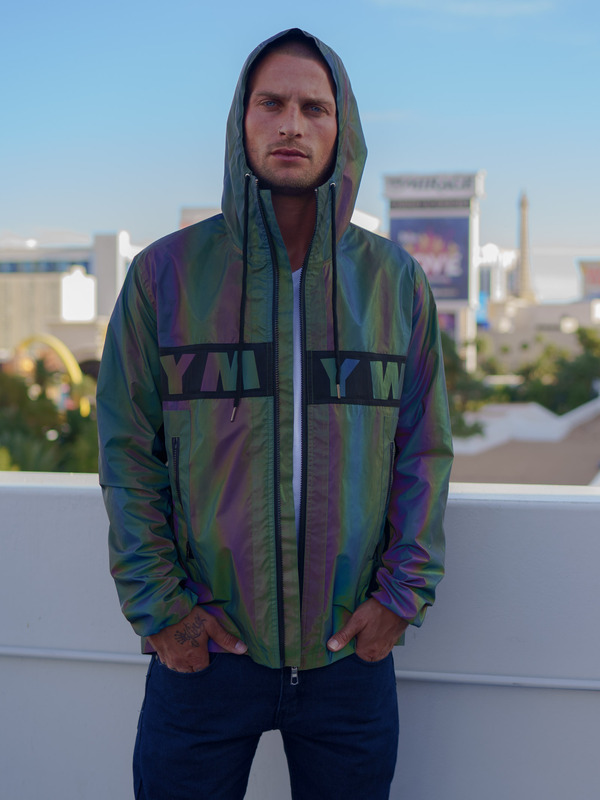 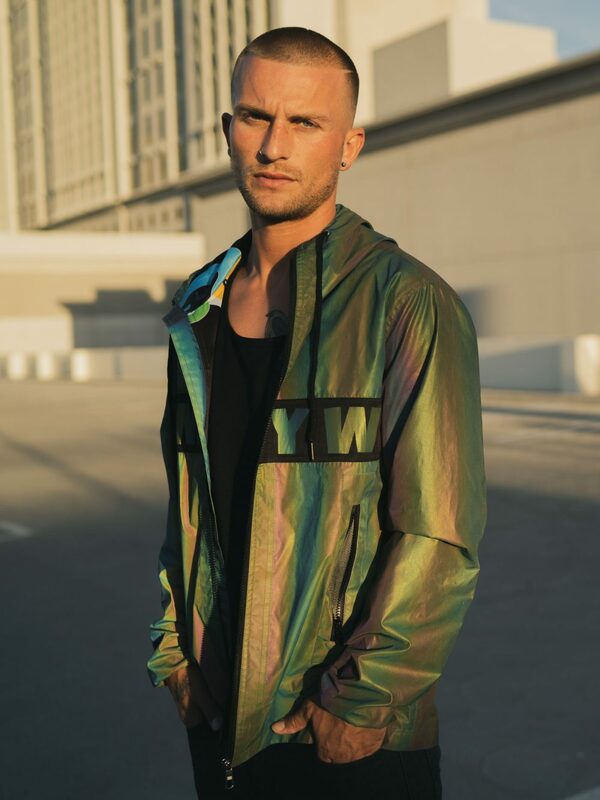 This jacket has a matte green/blue/purple fabric finish until light hits it at the right angle and it shimmers in all of it’s reflective rainbow colored glory. 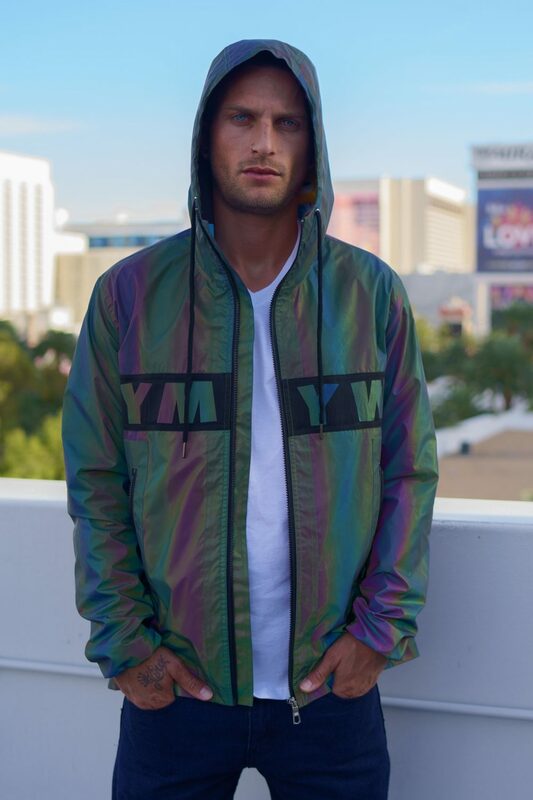 XENO Jacket for Men with a spectacular look. 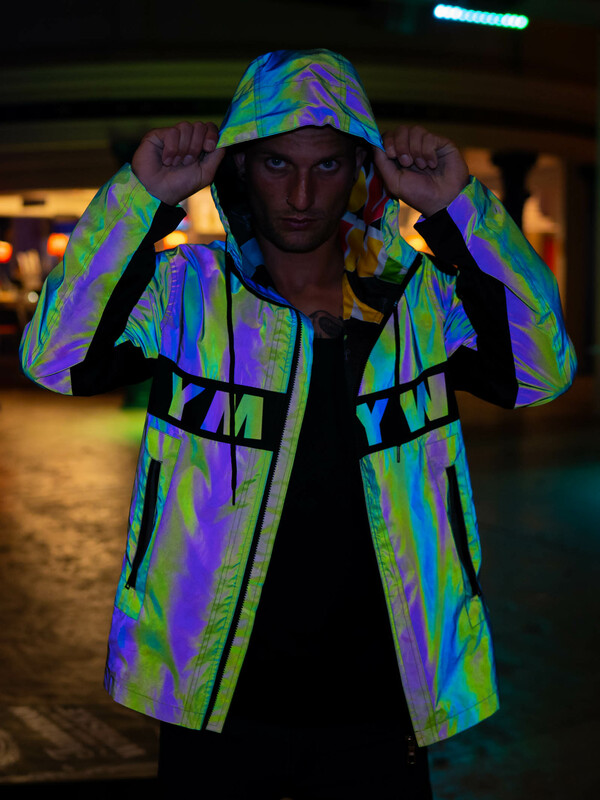 You surly will enjoy this jacket perform differently under every light. 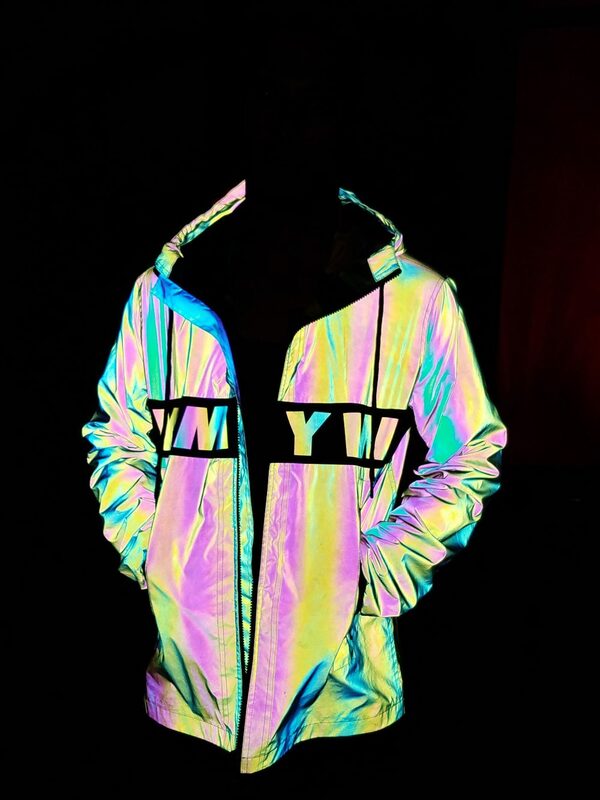 Want to mention that if photographed with flash, this jacket will give you anti-paparazzi effect. 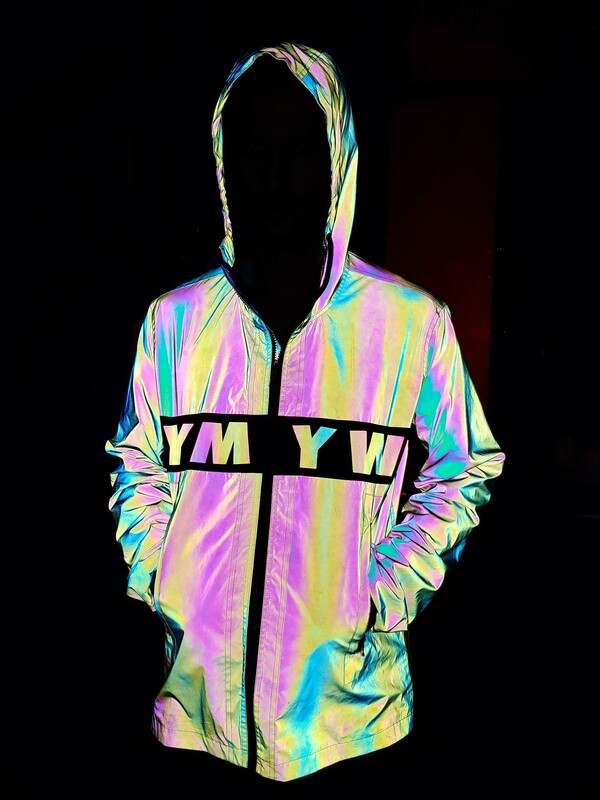 See photos attached. 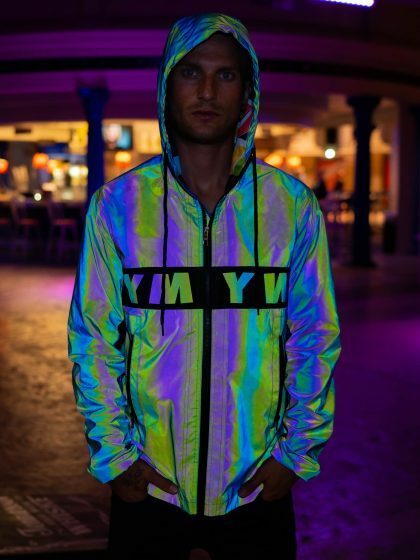 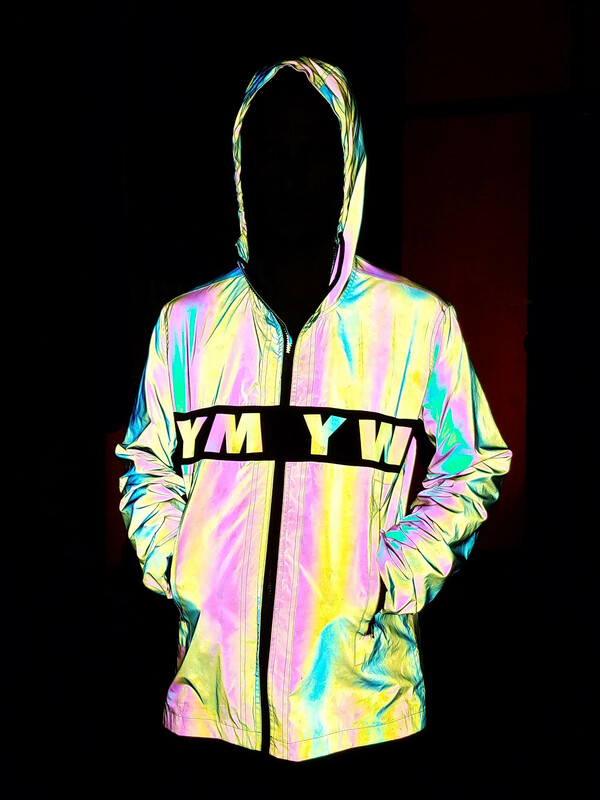 See other items that goes well with this slick Reflective Windbreaker.